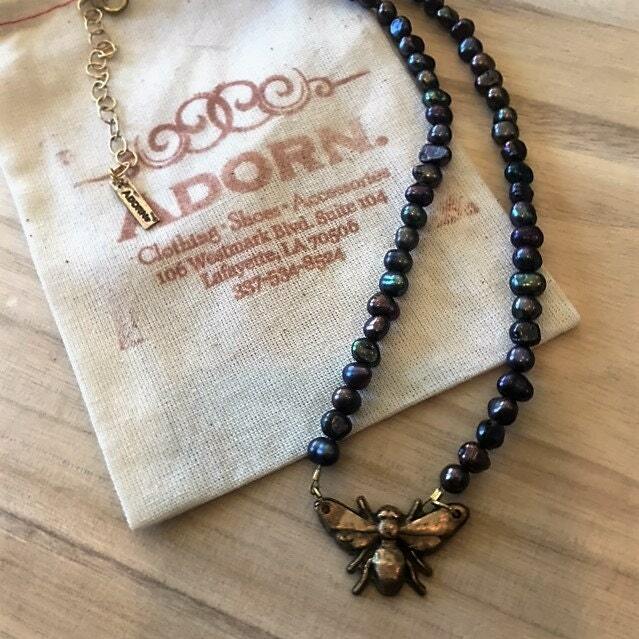 Show her that she is the Queen Bee! 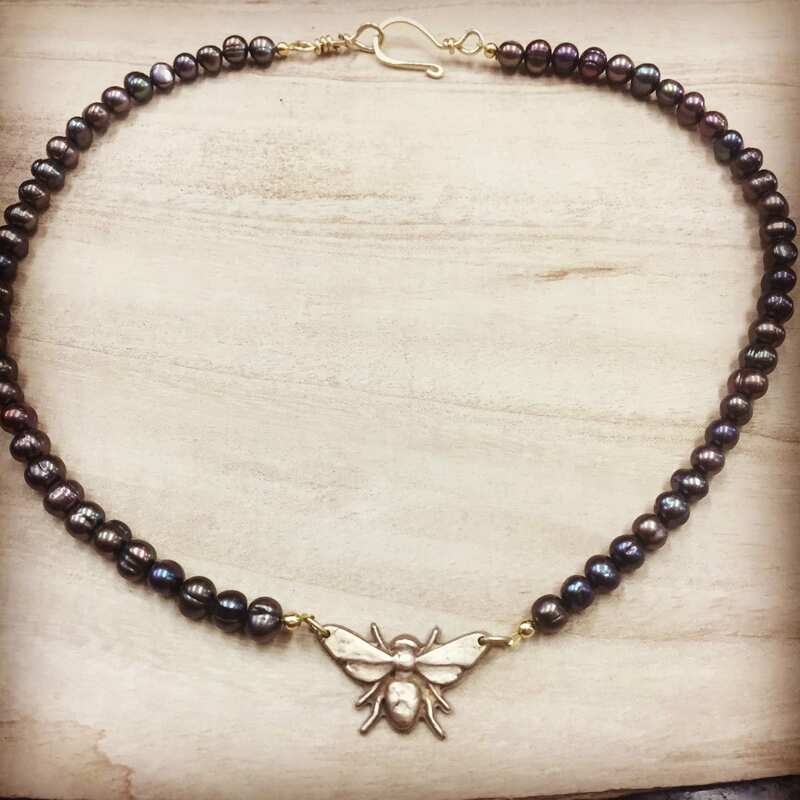 Handcrafted Bronze Bee Charm on a hand strung on Grey Peacock Freshwater Pearls. Very disappointing that the necklace looked nothing like the picture. Very disappointing response from the seller. Beware shopping here.